Larry and his wife moved to Bellingham in 2002 after selling their business in Kirkland, WA. They are very happy with their decision to choose Bellingham as their retirement home. He loves running, hiking and biking. The running bug hit him when he moved from Montana to Washington in 1986. 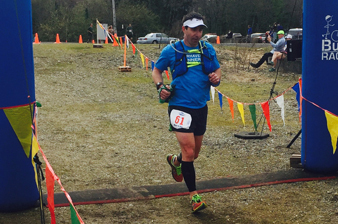 Though he primarily enjoys running Marathons, he has also run the Chuckanut 50K. Larry has been a GBRC member since 2009 and has been director of the Honeywagon Runs since 2012. He is a regular volunteer at both the Lake Samish Runs and the Chuckanut 50K. He looks forward to serving on the GRBC Board and working alongside the other members to continue to keep our club strong in this community. Involvement in this wonderful community is a source of pleasure for him. Other interests include volunteering at both the Mt. Baker Theater and the Pickford Film Center. He encourages others to volunteer at GRBC events as well as at other community events as a way to give back. Giving is a good thing and it benefits everyone. I am a Pacific NW native, 3rd generation born in Whatcom County. 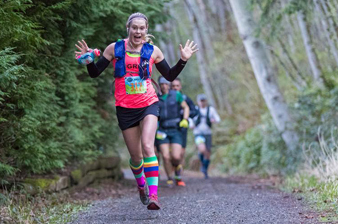 I discovered GBRC one day when I was searching for local races to participate in, when I saw the incredible value of being a member I was excited to join even though I was living in Anacortes at the time. As a Jack of all trades I love variety so I consider myself much more than a runner but running really has changed my life in a lot of fantastic ways. After I moved back to Bellingham I was recruited to be the social media person by Mark Harding who learned about my photography and writing skills via facebook. After joining the board I learned so much more about the club and agreed to be Vice President only by encouragement from Alex Gehrig (Former President). GBRC is an awesome community of people, I’m happy to be a part of it all and look forward to sharing even more by contributing as one of the co-creators of the monthly Newsletter, The GBRC Gazette. My husband and I moved from California to Bellingham in 1991 and have not regretted it for a moment. I’ve been a runner since high school (in fact, I met my husband on the Willow Glen High School cross country team) but started running longer distances in 2006 when I decided to run my first marathon. A few more followed that one, including Boston in 2008. I seriously started trail running in 2011 when the Chuckanut 50K fell on my birthday (I took it as a sign that I was meant to run that race). Since then, I’ve been fortunate to be part of the Bellingham running community, especially part of a group of smart, playful, open-minded, tenacious, and supportive women. I teach in the Biology department at Western Washington University, where I can easily hop on the Sehome arboretum trails for lunch-time runs. I recently joined the GBRC board after being a member of the club for several years. I’ve been the race director for the Lake Samish runs for the past six years and will be transitioning to direct the Haggen to Haggen. I look forward to contributing more actively to this wonderful organization! Gale has always loved to run and compete in races, be in the company of runners. and support the sport of running Three generations of his family have supported and competed for Bellinghams High School and College Track and Cross CountryTeams. So it is natural that he has been a active member of GBRC from its beginning. I really enjoy being a part of GBRC as a long time board member. After many years of running marathons and ultras, I now spend most of my running time on trails and in the woods near my home. I keeps track of the GBRC equipment, obtain the GBRC race permits and co-direct the Race Beneath the Sun. Originally from Pennsylvania, I moved to Bellingham in 2012 with my hubby to expand our horizons on the opposite coast. A competitive runner from middle school to college, I’m always taking advantage of the amazing local trails and endless activities Bellingham has to offer. I love the community of GBRC and the amazing people. I currently work on the GBRC design, website and emailers. 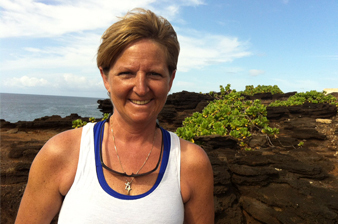 Running since 8th grade – loves running, biking and swimming. Completed the Boston Marathon several times and the Great Floridian Iron Man. Born and raised in Massachusetts, college in Florida before moving to the Seattle area. Met my wife Joan in Chicago where we lived for five years and now have two young runners ages 8 daughter and 11 son. GBRC member since 2001. Giving back to the running community and serving as board member strengthening our sponsorship with the local business community. Keeping the costs low to our members is our goal which includes having great sponsors to grow our club and provide quality races. 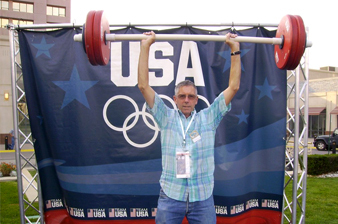 Tjalling has been a recreational runner since his college years, graduating to endurance running when he embarked on triathlon in the 1990s. 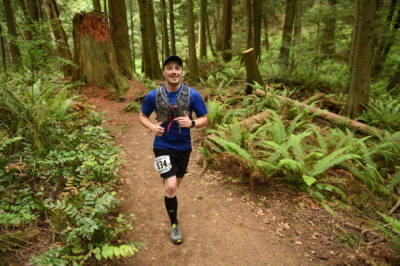 One notable streak was 11 successive Chuckanut 50k races. 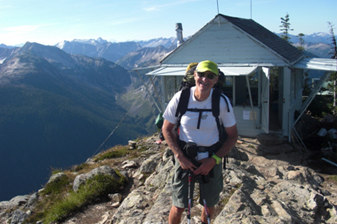 He enjoys long trail runs in the Chuckanuts and on Galbraith, as well as mountain and road biking and speed hikes in the Cascades. 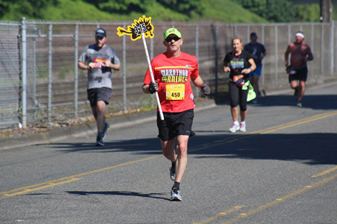 He has served on the GBRC board since around 2000, revived the Birch Bay Marathon when he took over as its Race Director for a few years, and most recently has served as Race Director for the Padden Mudfest. He is a Professor of Mathematics. 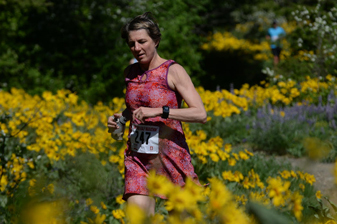 Although I have always enjoyed running, I began running in earnest as an adult when I recognized that maintaining a base level of fitness through running helped sustain my active lifestyle which includes walking (rapidly), bicycling for transportation and recreation, mountain biking, and hiking. I have been participating in GBRC events since 2003 and joined as a member in 2009 when I was finally able to call Bellingham home year round. Volunteering at GBRC events is genuinely as enjoyable to me as entering as a runner; the club has something to offer every kind of runner and being a part of events where such a wide variety of individuals come together to participate is satisfying. 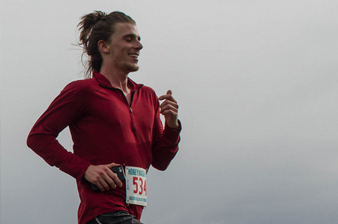 I’m a local Bellingham boy who’s been in B’ham his whole life and has a love for running and running trails. I did a few GBRC runs and found out how cool it is! Joined up and became a member a few years ago and have been joining the benefits ever since, track work outs and runs and races with great people! It’s always hard for me to volunteer at weekend races, so I thought joining the board would be a good way to do my volunteering for the club and maybe have some good input and pass on my love for running with the club. I am continually amazed and astounded at the genuinely nice nature of the running community in general, no matter the circumstances…but the community in Bellingham is something special. Nowhere else in my life have I had the opportunity to interact and connect with a more excellent group of people. When I moved to Bellingham only a few years ago, I knew almost nothing about the things almost all Bellinghamsters sometimes take for granted–the amazing network of trails that interconnects this city and the insanely easy access we have to outdoor adventures. After many solo explorations of both of those things, I started to meet and become friends with many like-minded people (which I now know are a dime-a-dozen here! In the best possible way). 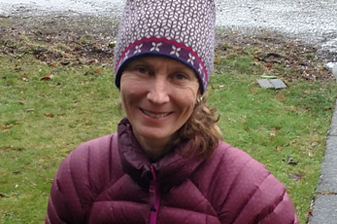 I think I may have even met my match for life through my trail running adventures (while running the Fragrance Lake trail), and I am thankful that she continues to inspire and challenge me in my running pursuits on a daily basis. I have been running all my life and it feels good to finally be able to give something of substance back to the running community. I am excited to serve as co-race director for the Lake Padden Relay and look forward to an excellent time being involved with GBRC. Sabrina moved to Bellingham from New England in 2009 and fell in love with the area. She met her husband, a local Washingtonian, and decided to find their home in Bellingham. Before she finished her Undergraduate studies, she decided it would be an amazing accomplishment to run a marathon and in 2011 she completed the Seattle Marathon. It didn’t last long before she started getting into trail running and that April 2012 she ran and completed her first 50 mile race. 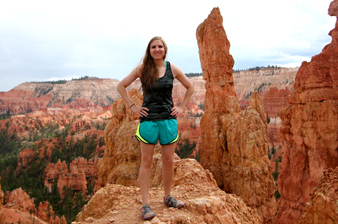 Sabrina is now running trail ultramarathons- distances vary but as large as 100 milers. She will always take the opportunity to run if it involves a good group of people, great food, and beautiful views! 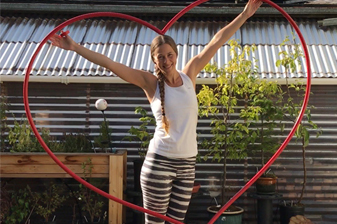 Sabrina and her husband became GBRC members for a number of years and both love what GBRC brings to the community. Sabrina has worked with other nonprofits in town and works within the education system currently. She has a passion for helping people live healthy, community center, lives and she is thrilled to have an opportunity to be a Board member. Tim moved to Bellingham in 2014 from Cincinnati, OH after graduating from the University of Cincinnati. He started getting more into trail running, and running in general, when his wife Angela began to run more and more trail races. As a GBRC board member Tim helps with various technology related things such as website updates and online registration setup. 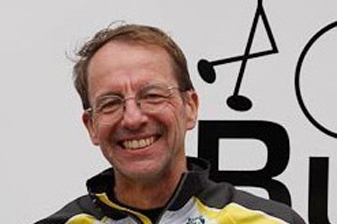 He is also one of the founders and race directors of our new trail race The Blanchard Beast.